By acefest on March 28, 2010 in Misc. 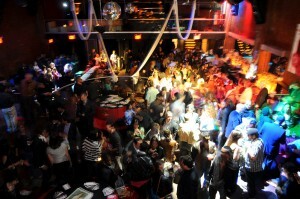 Well, we’ve finally recovered from Thursday’s NYC Film Industry Party at Amnesia Nightclub. It was a huge success! We’ve received quite a bit of positive feedback as well as significant interest in another party already. I do, however, want to candidly rant for a moment about some things we weren’t entirely pleased with. Throughout the evening, I was able to meet dozens upon dozens of new people without a problem, but the music was always blaring in the background. It certainly didn’t affect my networking process but it presented an obstacle, of course. We made several requests to have it turned down significantly which were ultimately fruitless in the end. For 3 years now, ACEFEST has been hosting these events without so much as a hiccup in our formula. Guests travel from all over the state, and even the country, to attend and always leave satisfied. Needless to say, we cannot patronize a venue such as Amnesia Nightclub that doesn’t respect our attendees’ needs. This is what we get for trying to accommodate a growing number of interested people with a larger space. Thursday night was truly an incredible experience overall, with over 700 people in attendance, and we look forward to a future of better venues and new cities! Also, to all who attended, we will be posting photos on a private website and e-mailing you a link within the week!